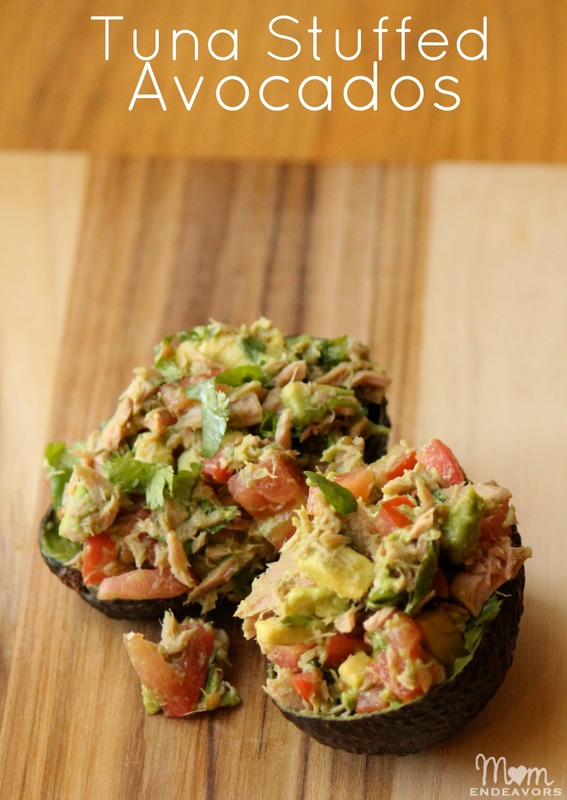 Tuna Stuffed Avocados – An easy, fresh & healthy meal! 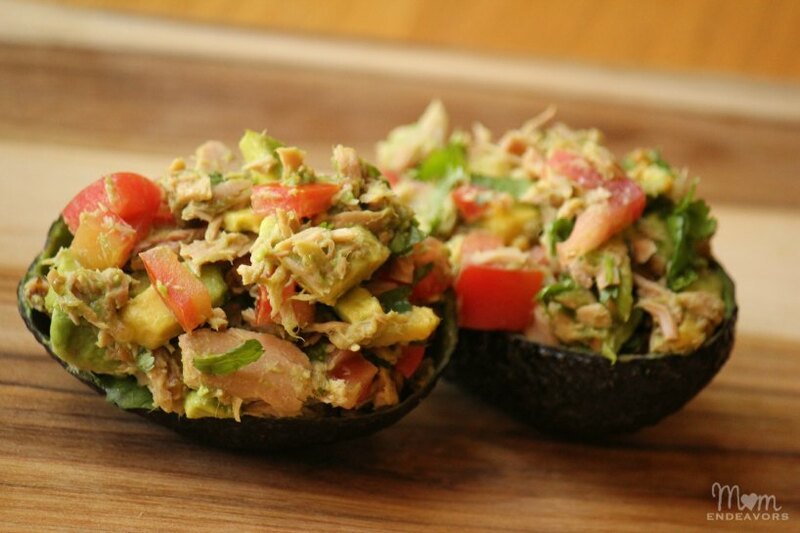 Making this healthy tuna salad is so easy! Just dice up your dice up your ingredients and dump in a bowl. 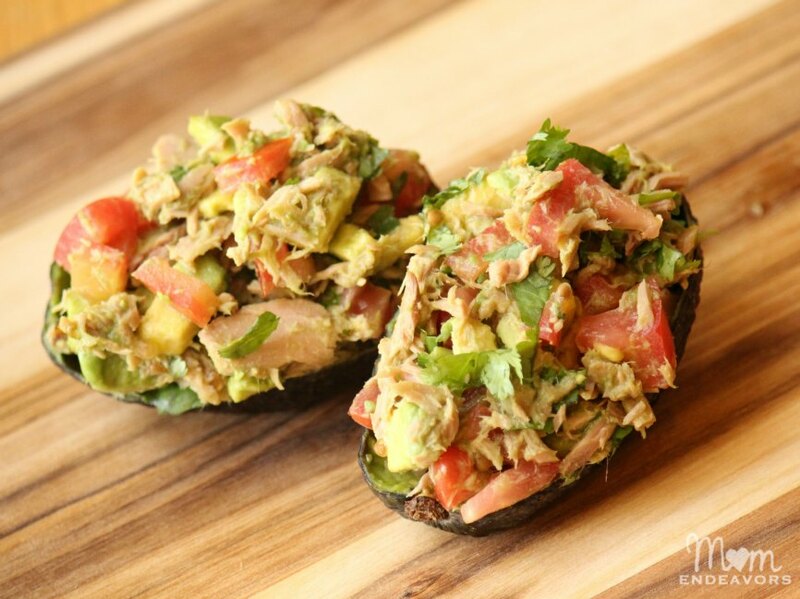 Add your seasonings, stir together, and scoop back into your empty avocado skins to serve! Gotta love an easy meal that you can feel good about! And, speaking of “good”, I’m so glad to learn about Ocean Naturals! This is a product that prides itself on not only being good, but good for YOU AND good for the planet! This skipjack tuna is wild premium tuna that is responsibly caught! Given some of the environmental/ecological concerns going on with fishing, that’s a product I’m happy to hear about. 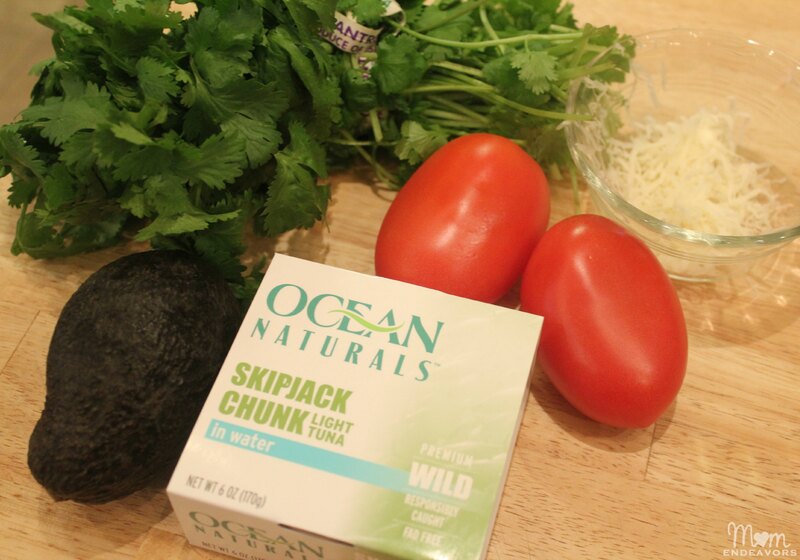 In fact, you can learn more about where your specific tuna came from by visiting http://oceannaturals.com/my-tuna/ and entering the code on the can. Neat right?! I found Ocean Naturals right at Walmart with the other canned meats (you can see my shopping trip here). 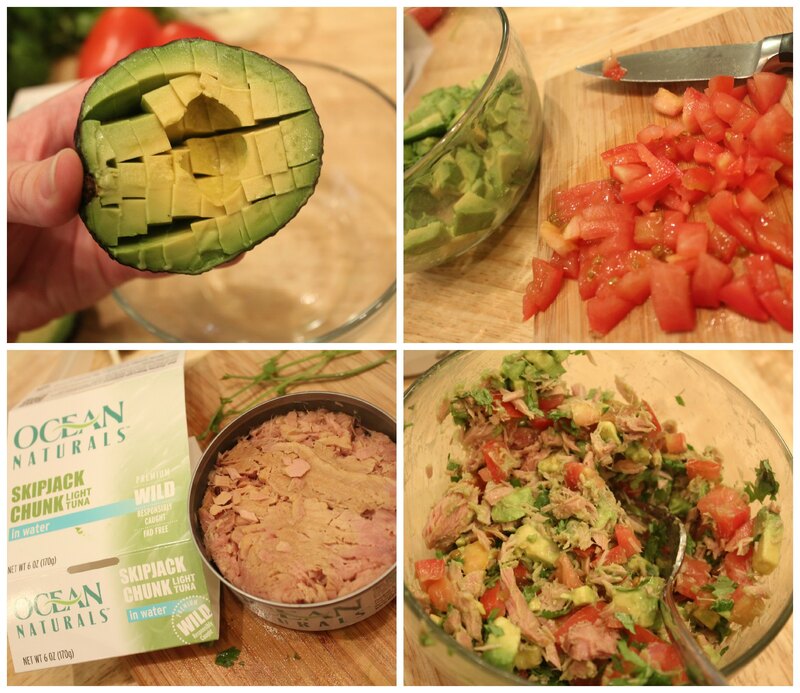 So, it’s not only a great tuna option – but convenient too! For more from Ocean Naturals, you can follow them on Facebook where they have Tuna Tuesdays Facebook giveaways as a chance for their readers to win free product! And for more great tuna recipes, you can check out this Pinterest board! How do YOU like to eat Tuna? This looks amazing! Love your photos and recipe. Sara, I love this idea — this is what’s for lunch this week!! This is the only meal that my husband absolutely loved & he didn’t care that it was healthy. Awesome, Mary! 🙂 Thanks for sharing – glad he liked it!